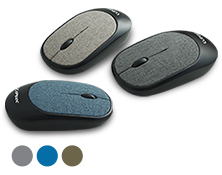 CLiPtec RZS855 2.4Ghz Wireless Fabric Silent Mouse - Fabric Xilent, provides great cursor control for browsing documents or Internet pages. The scroll wheel and buttons are virtually silent, provides the low dB and silent environment for better working condition. This silent mouse is beneficial whether you are an audio professional who needs an absolutely silent environment, or whether you are a computer user that understands the benefit of limiting distractions when you work. With 2.4 GHz wireless transmission is up to 10 meter of wireless range give user more freedom, no interference of movement and more comfort and control than a touchpad. The wireless dongle is designed to be storable inside the mouse body, simply take it out from the mouse and plug into any functional USB port for instant usage. Silent switch technology provide a no clicking sound and for better working environment. 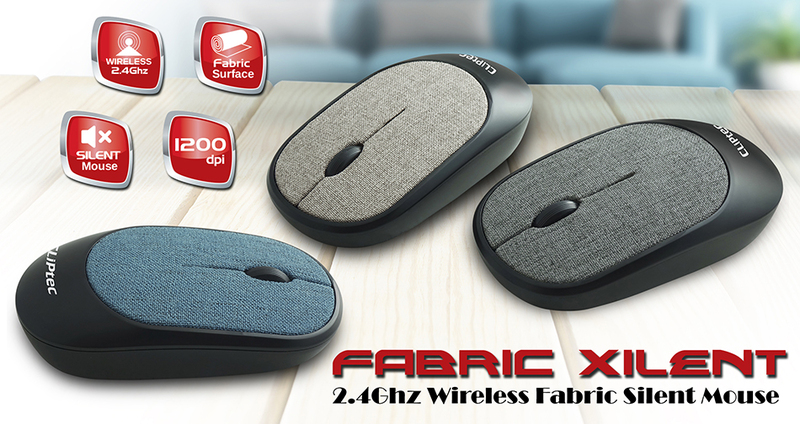 Real fabric material surface of the mouse to the mouse to provides a comfortable and elegant looks. Smart Link auto connection when plug in the receiver into USB port. 1200dpi and high precision sensor offers accurate, precision control and clicking ability. 2.4GHz transmission and up to 10 meter of wireless range give user more freedom and no interference of movement. Compact Mini Nano Receiver lay inside of the mouse body and convenient for the travelers.